I love wearing false nails every now and again. I used to get acrylic nails done a few years ago but they took so long to do and I didn't like them on my nails for long periods of time so that's when I started trying out press on nails. 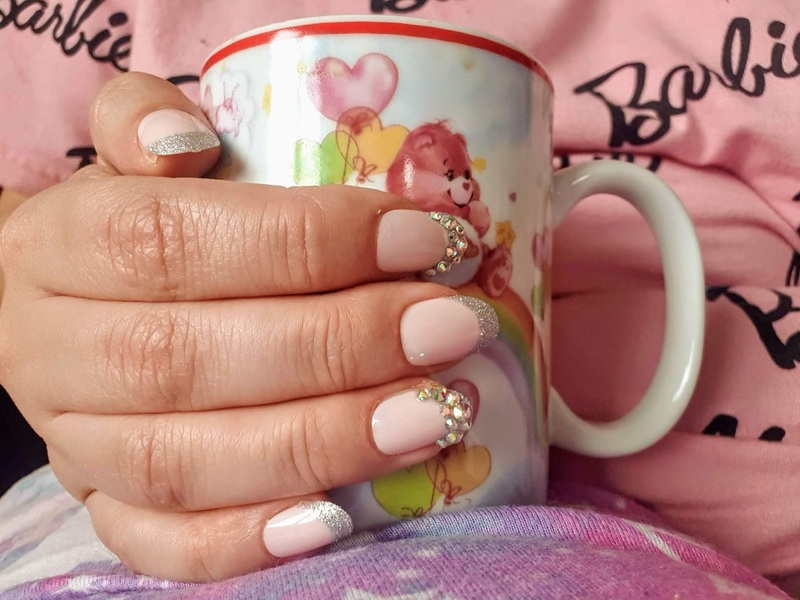 I love press on nails because they only last for up to 10 days and they are very simple to apply and quite a lot of the time they cost under £10 too. 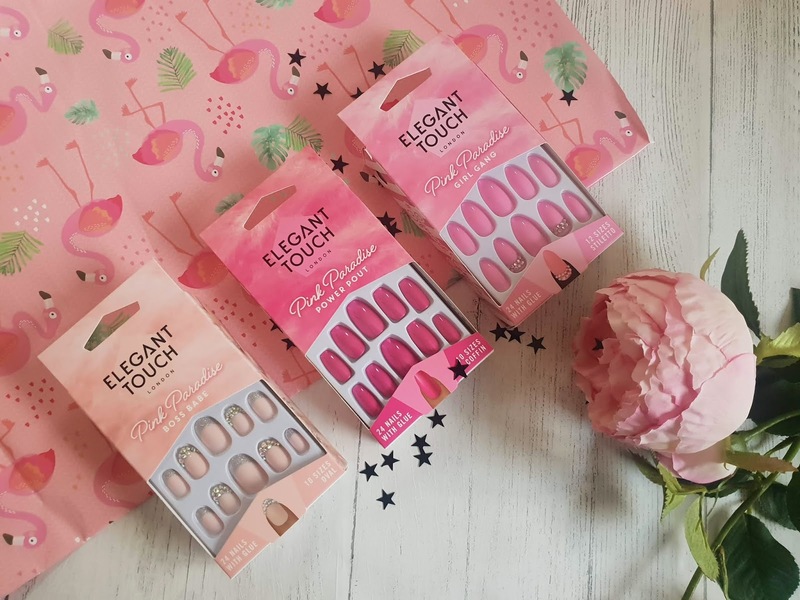 Elegant Touch is quite a popular brand on the high street and easy to find in shops such as Superdrug and boots, they can also be found online too. They have a variety of styles to choose from including Oval, Coffin (my personal favourite) and Stiletto. I was kindly sent 3 boxes of Elegant touch fake nails from their Pink Paradise range and my goodness how fabulous do they look? It sure is a pink overload! 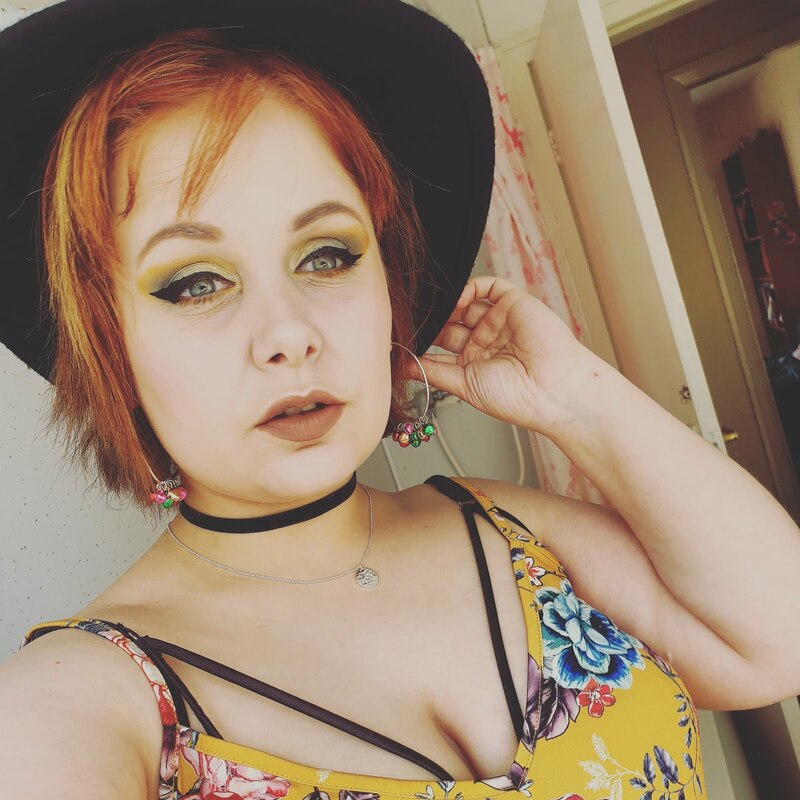 I wish I got them back in July so I could have worn them for the family wedding I went too. then yet again I did wear some fabulous unicorn style nails also from elegant touch so it's not too much of a blow. Not the usual French manicure, this has a different of the look of sparkle and diamante! These are a medium length in my opinion and are oval shaped so they have a lovely curve to them. You can see me wear them in the photos above and also below. I just love coffin shaped nails, I just love the gothic vibes with this style of the nail. These have no designs on them at all but damn they don't need it because they are a lovely vibrant hot pink. They also have a pearlised finish so they look glossy, Im in love! These are a lovely stiletto style nails in a lovely candy pink shade. They have base sparkle with diamantes at the cuticle which I think looks quite cool as usually as they are on the top of the nails. They may look easy as pie to apply but its always best to read the instructions first to get the best results. Always buff your nails first and match up a nail that matches up with your own natural nail to make sure it fits properly because it won't be easy to do that once you start glueing the nails on, trust me I've done that before and it was a bloody nightmare! It can take up to 30 minutes from buffing, choosing the right sized nails and applying the nail until you are done. It is very important may I add not to rush because the more time took means they are more likely to go on properly and also to last longer also. They claim to last up to 10 days which I would say is about right but for me personally, they only lasted about 6-7 days which I am not disappointed about because I do a lot of housework ( thanks to watching Mrs Hinch LOL). They are very comfortable to wear and actually feel like your own nail so they don't feel fake if you know what I mean. They have lots of different styles to choose from apart from the 'Pink Paradise range' which is nice and my favourite in the range has to be 'Boss Babe' I just loved them! Once they all come off, the is no residue left of the glue or fake nails on my natural nails which is a flaming relief as we all know acrylics don't come off as easily. Acrylics, as you may already know, need to go to a nail salon to apply and also remove them. 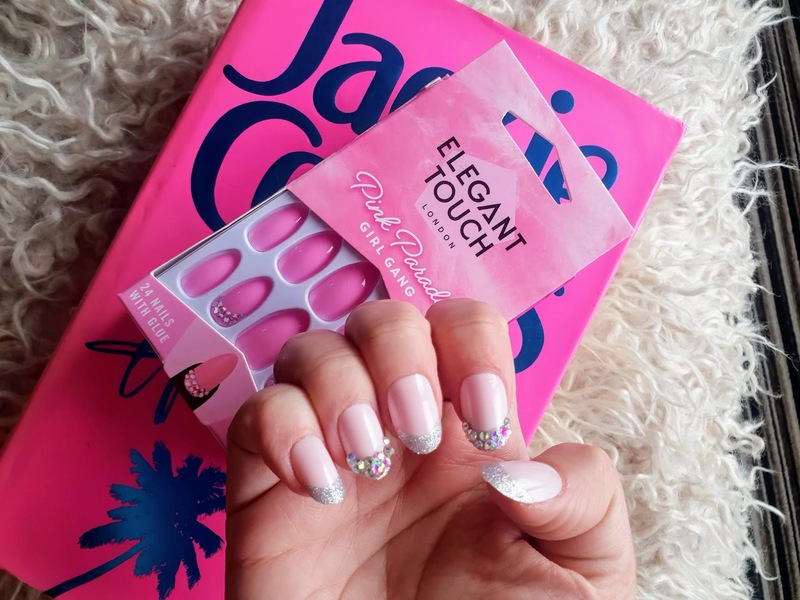 I would suggest buffing the nails afterwards and then apply a nail strengthener on your natural nail to keep them in optimum condition, its what I do and it works really well for me. 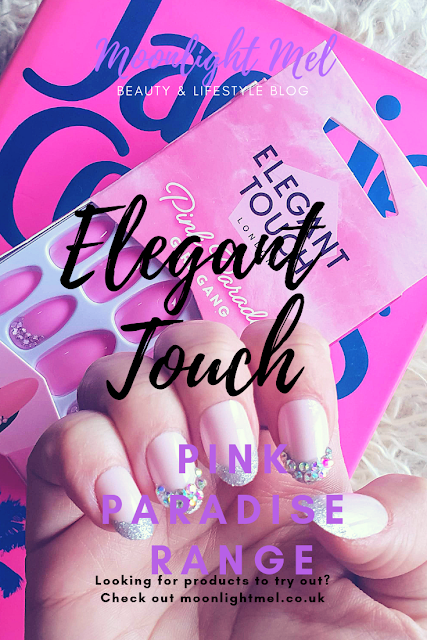 If you want to know more about the brand and see what other products they have to offer to check out their Elegant Touch website for more info. Do you like wearing fake nails? if so do you prefer press on nails at home or going to a nail salon?